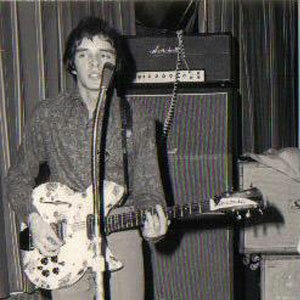 Word has just come in that founding Yes guitarist Peter Banks died on March 7. He was 65. Peter Banks was an eclectic and acrobatic guitarist who holds the distinction of being a founding member of the Progressive Rock band Yes. Banks appeared on the first two albums before he was replaced by virtuoso Rock guitarist Steve Howe. The band achieved world renown while Banks continued to work in various bands and as a solo artist until his death. 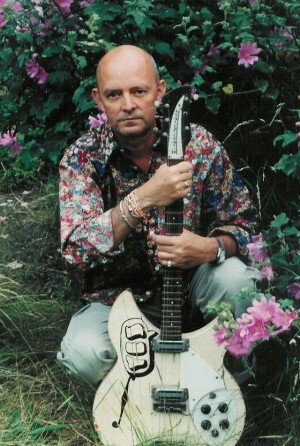 Peter Banks was haunted by the success of Yes after his departure. He was proud of his legacy, but at the same time harbored feelings of being cheated from the rewards of the band’s success. A success that was built largely on the template he helped design. The Rock And Roll Hall Of Fame has been tardy and negligent in failing to induct Yes into The Hall. A timely induction would have given Peter Banks the recognition and closure he deserved as a founding member of (arguably) the greatest Progressive Rock band in history. In addition to the two albums he recorded with Yes, he also appeared on several Yes compilations and anthologies after his departure. His post-Yes band, Flash recorded three albums during the early 70’s. He also recorded several fine solo albums that showcased his evolution and invention as a guitar player. He also authored a fascinating auto-biography titled “Beyond And Before”. I reviewed the book several years ago for the international Yes fanzine, “Notes From The Edge”. I am republishing this review as a tribute to a musician who greatly influenced my approach to guitar early on in my musical career. Reviewed by: Dale Nickey A long search for this book guaranteed this review would be Yesterday’s (sic) news. 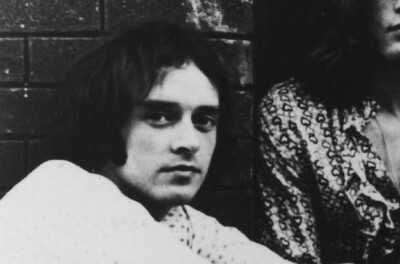 Peter Banks was a founding member of Yes. He was a hell of a guitar player. He certainly influenced Steve Howe’s approach as a guitar stylist. Banks didn’t miss the boat of rock super-stardom so much as he was pushed overboard from the vessel of his own construct. He was then handed an anchor on the way down. His “Bestian” misfortune insures this book’s edge and gives a unique angle that other Yestomes sorely lack. The first two chapters of his auto-bio “tell most” are standard rock auto-bio fare. Banks describes the youthful blush of radio magic; the cheap, difficult first guitar and the long march from undistinguished cover bands to psychedelic tomfoolery. Then, on to the fool’s gold of Yes’ first recording contract. Mr. Banks’ role as Greek chorus in the Yes saga ultimately gives the group’s mythology much needed ballast and counterpoint. As much as we love Jon Anderson and his Hippy, New Age philosophies, the palate craves the acidic PH balance of Banks’ memoirs. 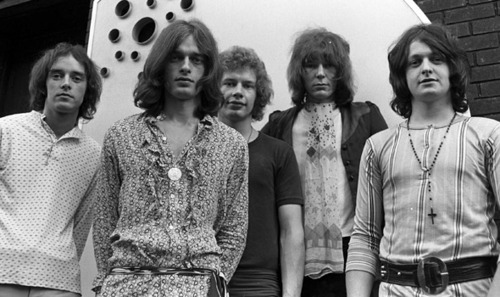 The early years of YES are described in vivid and grimy detail. The book reveals Yes (Mark I) to be a fairly typical concern of hard-drinking, loud, untidy, entry-level rock stars looking for that first break. However, their work ethic, ambition (and talent) was any thing but typical of the times and reveals the beating heart of a group that would not fold its cards. We are privy to Chris Squire’s plainly obnoxious penchant for tardiness, Jon Anderson’s dictatorial tendencies and the general messiness in the communal squalor of the first Yes crash pad. Mr. Banks obvious love and devotion to Yes and its music beyond and before thankfully tempers his grievances. This reviewer is old enough to remember the rancor evident in early interviews with Banks regarding the break up. Now, with the passage of time, Mr. Banks observations ring of hard won credibility. Indeed, much of the dramatic arc of this book comes from Peter Banks covert obsession with the brilliance of his replacement Steve Howe and his performance on the “The Yes Album” (strongly argued to be the group’s best album). This part of the book has Banks playing Salieri to Howe’s Mozart and is, by far, the most engrossing part of the book. The evidence of record strongly suggests that Bank’s was a chief architect of the Yes template and moreover, did quite a bit of writing that should have been credited. Banks claims credit for coming up with the name of the group “Yes“. Banks was a Who fan and lobbied for a name with the same simplicity and impact. He also claims credit for writing the signature riff for “Roundabout”. Clearly the first two Yes albums bare his stamp. Similar accusations of riff pilfering were lodged by Patric Moraz some years later and lend credibility to Mr. Banks claims. The tragedy and conflict of the story stems from Banks unwillingness to bend with the winds of change and ride out the “artistic differences” gracefully. He candidly portrays himself as an obstinate handful who over-estimated his value to the group. His behavior during the “Time and A Word” sessions insured his dismissal. Hindsight tells us he should have made his contributions to “Time and A Word” and kept his yap shut. Later he grudgingly agreed with the mix of the record anyway. However, life “Post Yes” started promisingly for Banks. An enjoyable lost weekend with Bloodwin Pig and the initial success and professionalism of Flash must have given Peter Banks a feeling of place in the rock firmament. After all, Pete Townsend was a fan of his playing. Robert Fripp was a flat mate and he got a thumbs up from guitar’s chairman of the board Jimi Hendrix. For a fleeting time in the summer of his life, he was one of “the cats”. The chapters devoted to Flash are a fascinating peek into the margins of the progressive rock world shortly before the nuclear winter of punk. A group just this side of great doomed to repeat history rather than create it. The later chapters are gloomy and essential to the tale though difficult to read. There is no happy ending and closure is still pending. “Beyond and Before” is a single evening of ravenous reading for the YESophile and a necessary hole plugger for the slightly less committed. The sad irony is that this book has already fallen off the radar screen and will ultimately be as undervalued as Banks’ contributions to Yes music in particular and Progressive rock in general. He deserved better.